Amazing' is a descriptive too often used when 'Pretty good' or 'Not too bad' would be more appropriate. 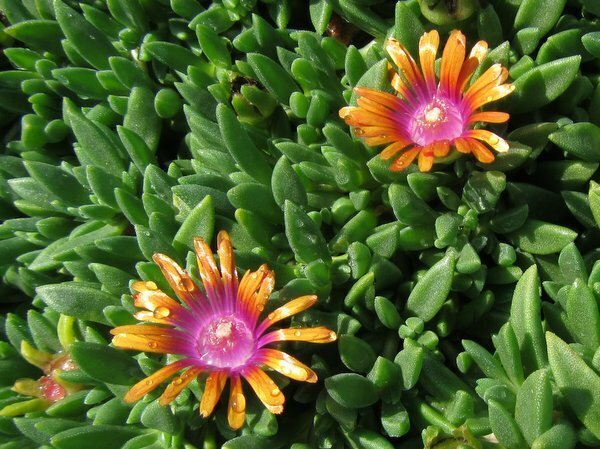 Well, this hardy Ice Plant from South Africa's Cape region is freaking Ah-Mazing! Collected by Panayoti Kelaidis, this has performed for 10 years in Denver. Fast groundcover with orange,red, neon magenta and white flowers.